the super bowl is just around the corner, and these definitely need to find a spot on your spread. 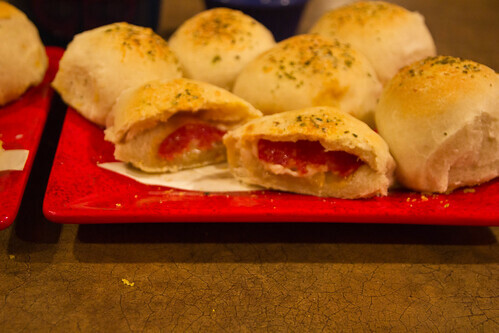 they’re basically a dinner roll, made with pizza dough and filled with cheese and pepperoni. i tried a new pizza dough recipe for this, and the key ingredient is honey. 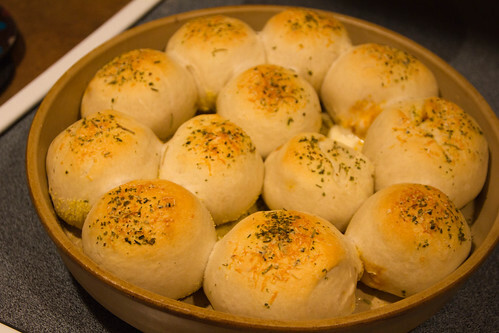 it’s a different dough than my chicago style dough, but it is perfect for rolls. next time i want to add a bit of rosemary to change things up. combine honey and warm water in a bowl. sprinkle with yeast and allow to foam. put flour in a bowl and stir yeast mixture in. add oil and salt, in the end. put mixture on a floured surface, and knead for ten minutes, until smooth. 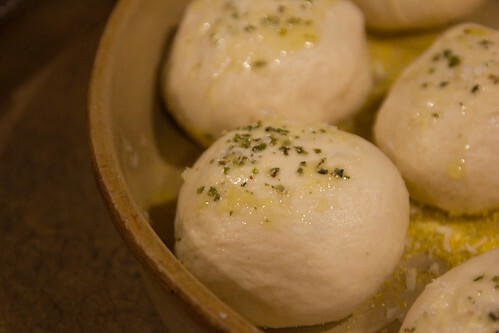 oil dough ball and place in a covered glass bowl. allow to rise until doubled, for about two hours. 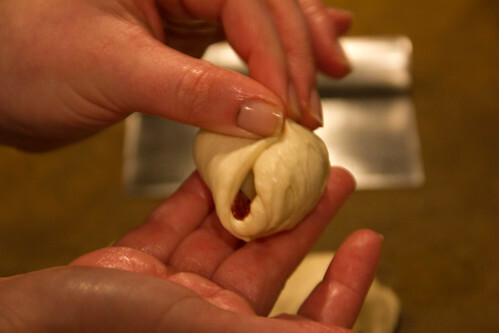 when ready to make rolls, pre-heat oven to 400°. 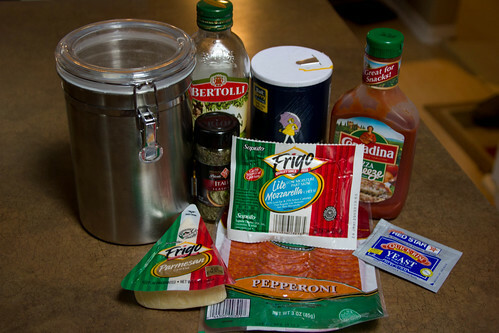 divide dough into twelve equal parts. fill each ball with a cube of mozzarella cheese. 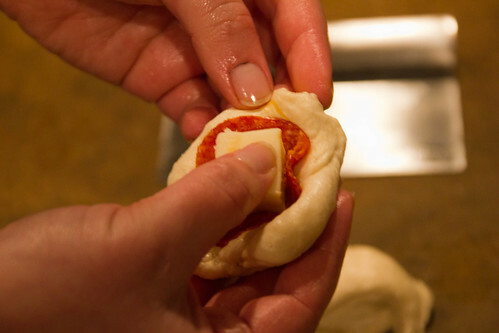 seal dough around the cheese and place seam side down, in a pie dish. repeat for remaining dough. 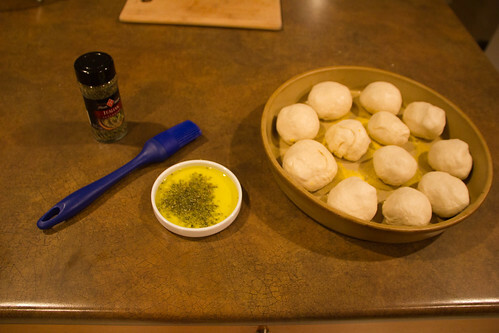 combine oil and spices and brush over dough. sprinkle with parmesan cheese. allow to rise again, for another 3o min. bake at 400° for 16-20 minutes. serve with warm pizza sauce or ranch dressing. i'm a 30-something lady living in bellingham, wa. a wife to tom, mom to ben and nate, maker of music, sahm and lover of life, all of the time. i enjoy cooking, taking ben, nate and lucy for walks and all things that inspire me to be creative.